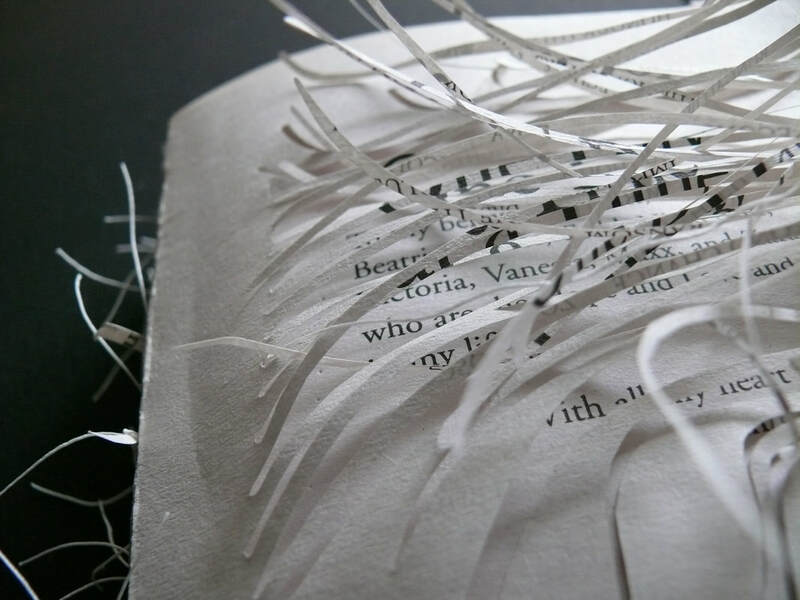 I have long loved books as objects to be held, read and treasured. Sometimes, the fustier and yellowed, dusty and battered, the better the book feels as a weight in my hand. It's as if the passing years add to the heaviness. 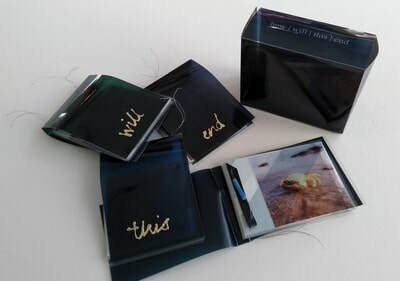 I developed a passion for making artists' books and altering existing books as a natural way of extending and exploring this sense I have of the book as a form. The contact of marks connected to the papery surface, images that flex with words to take the reader or viewer to another place, on a journey, through an experience. I love to explore ways of presenting my thoughts in this wide ranging form, often conceptually. ​Dolbelydr is one of those books . . . This handmade artists' book (header image, and shown below) is a response to the Landmark Trust property of the same name which was built near Trefnant in the c16th for Henry Salesbury, a humanist and physician who wrote his book Grammatica Brittanica there, published in 1593. There is suggestion that this significant work can be said to mark the birthplace of the modern Welsh language. In 1913, J Morris Jones discusses in his then published writing, 'A Welsh Grammar Historical and Comparative', the development of the Welsh language since the time of Salesbury. From this book I have carefully selected English translated phrases with their original Welsh text which reflect my personal experience of staying in this wonderful property on two occasions, these are presented paired with images of the house and its surroundings. For me, these words prick my imagination, beginning to articulate a deeper sense of being located, surrounded and protected by something rather special. 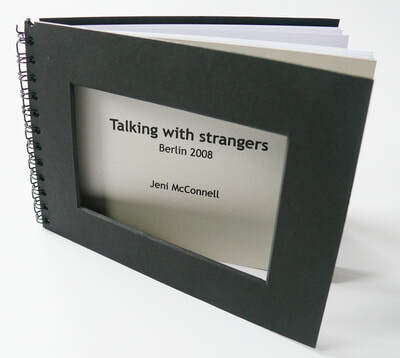 The book casing is constructed in proportion to the house window frames and is hinged by a mullion style connection between the panels, just as they are in the house. The inner parchment cover lining mimics the patterning of the heavy, hand printed curtains in the house and is the final element of a very personal and passionate response to this remarkable building, both in its current form, and its long and rich history. 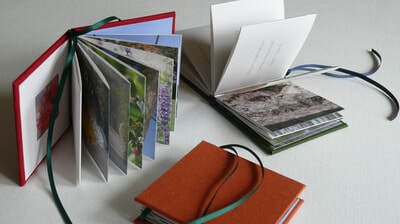 Artist's book works held in public collections at: Tate, London, National Library of Wales, Leeds College of Art and private collections.